A magical journey through lands of legends and dreams to the greatest grotto in all of space and time. Cast out from Paradise Gardens a brave band of heroes must journey through space wormholes on a raucous quest to find a new home. Tested by trickery, facing daring duels and dancing dust zombies, will they find their way to the mythical world they seek? 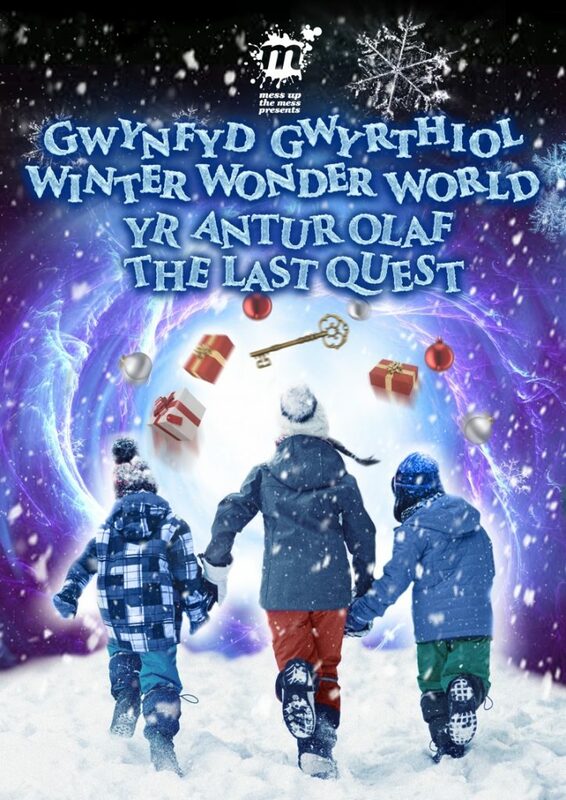 Seren, Noel and Ivy have built Winter Wonder World to be the greatest grotto in all of space and time. Fabulous festive foods. A glorious gallery of gifts. And a visit from the Crimson King himself. What could possibly go wrong? Available through www.ticketsource.co.uk/messupthemess. Additonal booking fees may apply. Performances at 11.30 am and 2.30 pm on Saturday 15 December will be BSL interpreted by Tony Evans. The 2.30 pm performance on Sunday 16 December will be audio described by Beth House. Normal entry fees to National Botanic Garden of Wales apply, payable on entrance. See botanicgarden.wales for details. Please note: performances of The Last Quest on 15 & 16 December are outdoor promenade performances. Please wear warm clothing appropriate for the weather and comfortable footwear. This entry was posted in Featured, News, Productions by Chris. Bookmark the permalink.